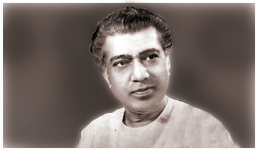 The pioneer of the Marathi theater. He laid the foundation by writing and performing the first Marathi play 'Seeta Swayamwar', on 5th Nov' 1843 as ordained by the king of Sangli. The King, on seeing a few Kannada plays, felt like producing some in Marathi and shouldered the responsibility to Vishnudas Bhave, who ably saw it through. After losing the royal patronage, Bhave followed this profession of producing and presenting plays in Sangli, Pune and Mumbai till 1861. The town of Sangli is therefore considered as the Mecca of the Marathi theater. 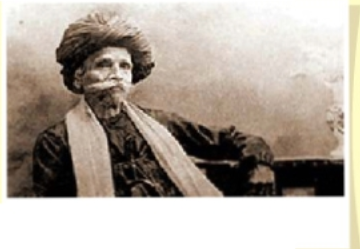 The year 1843 birth-year; and 5th November is celebrated annually as the Marathi Theater Day. Dinkar joined Kirloskar Natak Mandli in 1908, at the age of 7. His maternal uncle Krishnarao Kolhapure also worked in the Company since 1902. Dinkar started doing petty roles in the drama company. He used to sing well and played Bakul's role in 'Veer Tanay'. After 1914 Dinkar went to NatyaVinod drama company and then in 1918 he joined his uncle's Balwant drama company. He used to play 'Uttar' in 'Veer Vidamban' very well. Balwant produced the play 'Bhavbandhan'on 18.10.1919. The roles of Ghanashyam and Latika were played by Chintamanrao Kolhatkar and Master Dinanath respectively. The audiences enjoyed Dinkar's role of Kamanna greatly. The role fitted Dinkar so well that soon he was called by that pet­ name only. Dinkar and Kamanna became synonymous. Dinkar continued playing the role for more than a decade and then left Balwant and worked in Hirabai Badodekar's drama group in 1933. Dinkar earned similar fame and name in Marathi films also. He stepped onto stage once again in 1940. lnspite of not having received any formal school education, Dinkar's stage performances were always witty, humorous and full of presence of mind. Many anecdotes of Dinkar's quick­ wittedness are well-known among people associated with the Marathi theatre. Damuanna Joshi, the owner of Balmohan Sangit Mandli - a drama group of young boys once discovered Saudagar Gore alias Chhota Gandharva from the town of Koregaon. Saudagar was gifted with very soft and silken voice. Balmohan produced and presented 'Pranapratishtha' on 22nd July 1928 in Vljayanand theatre for the first time. Saudagars' heavenly voice made Damuanna Joshi to refer to him as 'Chhota Gandharva' in the play's advertisements. The title was confirmed by the immense fanfare from the audience. 'Pranapratishtha' was followed by 'Swargawar Swari' and 'Kardankal' and 'Samshay Kallol'. Chhota Gandharva playing the role of Revati simply became a legend. Damuanna took special efforts to give Chhota Gandharva training In classical singing. He appointed Bagalkotkar buva for the job. 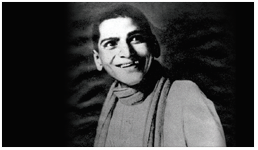 Around 1930-31 Chhota Gandharva's voice cracked for a while; but was restored after a rest of 7-8 months. The Marathl theatre faced severe economic recession around 1932-33. Many drama companies were on the verge of crash. Fortunately, Balmohan found a new, very gOOd playwright in tile form of Acharya P. K. Atre. On 10th May 1933 Balmohan produced Atre's, 'Sashtang Namaskar' in which Chhota Gandharva played the lady part of Tripuri. Later, of course, Chhota Gandharva played male roles only. Saudagar acted in several of Balmohan's plays viz., 'Gharabaher' , ' Bhramacha Bhopla', 'Udyacha Sansar', 'Lagnachi Bedi', 'Vande Mataram' and 'Mi Ubha Aahe'. He proved Instrumental in Balmohan's success, fame and wealth. Damuanna appointed him in his drama company to teach high-class classical music. After 1950-51, Chhota Gandharva played major roles in 5 important and famous plays entitled 'Soubhadra', 'Manapaman', 'Mruchhakatik', 'Samshay Kallol' and 'Vidyaharan' for a period of about 25 years and literally ruled the hearts of the Marathi theatre lovers. In 1981, on the Diamond Jubilee celebrations of the Marathi musical theatre, Chhota Gandharva played roles in 'Mruchhakatik' and 'Soubhadra'; and then he retired from the stage. Balgandharva inherited his inclination towards music from father, and dramatics from lhe maternal family. In 1908, Balgandharva joined Kirloskar Natak Mandli. He acted in 'Soubhadra', Tatyasaheb Kohlhatkar's 'Veer Tanay', 'Mook Nayak', 'Mativikar' and 'Prem Shodhan'. 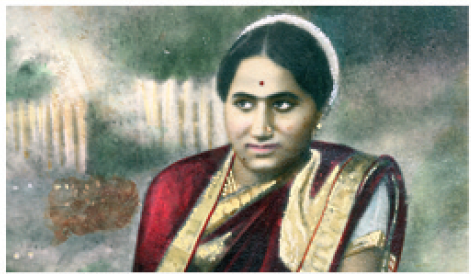 Solely for the sake of Balgandharva's sweet, melodious voice Talyasaheb was tempted to write a musical play. Kirloskar Natak Mandli produced 'Manapaman' a musical play written by Kolhatkar with great pomp and show on 12/3/1911. The musical compositions in this play broke away from the tradition and relying more on classical base of 'Khyal'; became greatly popular. In 1913, Balgandharva, Bodas and Tembe broke away from Kirloskar Natak Mandli and set up a new company - Gandharva Natak Mandli on 5/7/1913. Within two months only, on 3/2/1913 'Mook Nayak' was produced. On 10/12/1916 Khadlikar's musical play 'Swayamwar' was enacted on the stage. The play earned great fame and popularity for Balgandharva. Ram Gadkari's 'Ekach Pyala' also proved to be a great 'hit'. Gandharva Natak Mandli was burdened by a huge heap of loan because of a disastrous failure of the play named 'Droupadi'. By 1926, Balgandharva repaid the entire loan with great efforts. Around 1933, the talking film had made an entry and the fate of the Marathi theatre was in doldrums. Balgandharva closed down his drama company on 1/1/1935 and joined films. But could not put his heart into films. Along with Goharbai, he reappeared on the stage and delighted audiences. filling the vacuum created by Bhaurao Kolhatkar's absence. Melodious singing, very good knowledge of rhythm made Balgandarva becomes a legend on the Marathi stage, which had no parallel. Atre was a very versatile personality. He was a combination of emninent educationist, playwright, critic, journalist, well-known poet, satirist, prolific writer, screenplay writer, political leader and a very powerful orator. The owner of Balmohan Natak Mandli, Damuanna Joshi made Atre write his first play 'Sashtang Namaskar', a fine humorous comedy, produced of 10-5-1933. Till 1950 before Balmohan was closed down, it produced Atre's 9 plays. They were 'Sashtang Namaskar - 1933', 'Gharabaher - 1937','Bhramacha Bhopla - 1935', 'Udyacha Sansar - 1936', 'Lagnachi Bedi -1936', 'Vande Mataram - 1937', 'Mi Ubha Aahe - 1939','Jag Kay Mhanel? - 1946' and 'Panigrahan - 1946'. In 1938, Atre wrote "Paracha Kawla' for 'Natya Kala Pravartak'. He wrote 'To Mi Navech' in 1962, which was based on the notorious Kazicourt case. Atre started his own production company - Atre theatres and produced 'Moruchi Mavshi (1963)', 'Buva Tethe Baya (1964)', 'Mi Mantri Zalo (1966)', 'Dr Lagu (1967)', 'Preeti Sangam (1968)' and 'Brahmachari (1969)'. Atre simply ruled over the Marathi stage from 1933 to 1969. One would not find another playwrite ruling over the stage for such a long time. Atre threw light on social evils, through his plays, criticized them and helped in social reforms. Atre's plays will be remembered forever. 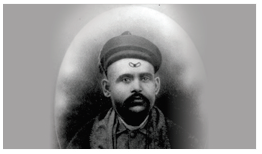 Appa was a founder member of the great, old Maharashtra Nalak Mandli. He was a good actor. He would play Kank in 'Keechak Vadh' and Raghoba dada in 'Bhaubandki'. His roles of Prataprao in Kanchangadchi Mohana' and Arjun in 'Baykanche Band' were very remarkable. The play 'Kamla', based on Mary Correll's novel 'Thelma' was produced by Maharashlta Nalak Mandli in 1911. It was a social play and hence, different from lhe mythological and historical plays of the times. In 1912, Appa set up Bharat Natak Mandli and produced 'Matsyagandha', 'Radha Madhav' and 'Jarasandh'. Appa wrote 'Shaha Shivaji' at the insitence of Keshavrao Bhosale and proved a hit. Appa, in al, wrote 8 prose and 5 musical plays. He was a versatile director. He copied the western theatre by using grease paints for make­ up. He had created special costumes and headgears, which were a speciality in Chhatrapati Shivaji's times. Another of high caliber singer in the troupe of Annasheb Kirtoskar was Balkoba Natekar. He was an asset in the cast of the musical 'Shakuntal'. Balkoba was a good singer as well as an actor. Very strong memory, amazing grasp of music as well as dramatics were the characteristics of Balkoba's contribution to the Marathi theater. He was good at Indian classical music as well as playing musical instruments such as 'been, sarod and sitar'. He was an erudite in music. He used to play different roles in 'Shakuntal'. He used to sing the 'nandi' in Act I, play the disciple in Act II, Kanva in Act IV, Kanchuki in Act VI and Matali in act VII. In 'Soubhadra', he would play Narada and Krishna. Instead of accepting the risk of being a partner in the drama company. 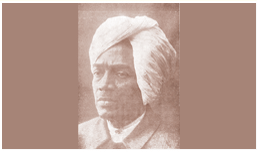 Balkoba worked on the salary of Rs 200/- p.m. and in 1890 on Rs 150/- p.m. as a result of deteroiration in his voice-quality. In 1893, due to some hassles over the salary amount, Balkoba accepted retirement. He kept away from joining any other company. Instead, he continued his singing, music. performing as well as teaching. 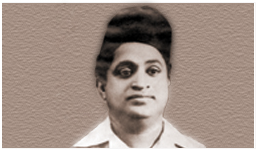 Balkoba was one of the pioneering singers in the history of musical plays on the Marathi stage. Originally from Satara, Bal was the nephew of his legendary Uncle Chintamanrao Kolhatkar. Salgandharva, Ganpatrao Bodas, Chintamanrao Kolhatkar and Keshaverao Date inftuenced him in his childhood. Bal knew perfectly well which word is to be stressed while delivering the dialogues in a play. Bal played roles in 'Ekach Pyala', 'Bhavbandhan', 'Samshay Kallol', 'Mruchhakatik' and 'Manapaman'. The public appreciated Bal's plays such as 'Ughadale Swargache Dar', 'Denarache Hat hazaro' etc. 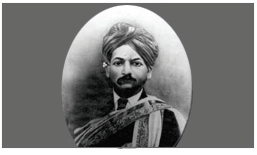 Annasaheb was born on 31/3/1843 at Gurfhossur in Karnataka. After having finished schooling he came to Pune and set up a drama Company, which soon had to be closed down. He worked as a teacher at Belgaum for sometime, worked in the police department for a while. In 1880, he saw a Parsi dramatic opera and he was inspired to produce Kalidas's 'Abhidnyana Shakuntala' in Marathi on similar lines. He finished the translation of the first 4 acts in 1880, on the day of Dhanatrayodashi; 'Sangeet Shakuntal' was staged at Anandodbhav Theater in Pune. The play had 183 songs. The moneylender Gulve from Panvel financed the play. Kirloskar's second production was 'Soubhadra' and it was an instant hit too. These two plays have really become immortal on the Marathi stage and are performed even today. Annasaheb's third, play 'Ram Rajya Viyog' was performed on 20/10/1884 for the first time. Annasaheb Kirloskar and his play 'Sangeet Shakuntal have been milestones, as with them began the golden age of musical Marathi theater. The epoch-making figure on the stage of Marathi musical plays, Bhaurao Kolhatkar, originally belonged to Badoda (Vadodara). His father was a minstrel (a Haridas -a holy singer). Bhaurao and his elder brother Apparao used to accompany their father in his temple singing. In 1882, when Bhaurao entered the profession of theatre in his 20's, he was a very good-looking young man and he had got a heavenly voice. He was the rarest combination of beauty, sweet voice and youth, which was incarnated on the Marathi stage. That's why, when Bhaurao agreed to play the role of 'Shakuntala', 2 songs were specially composed for him. Bhaurao could sing in a stout, gallant voice as well as soft, delicate and touching voice. The voice used to stir the audience and their emotions. Kirloskar had Bhaurao in his mind when he composed songs for 'Soubhadra'. Bhaurao had learnt all the pros and cons of 'Lavani singing' during his stay at Badoda(Vadodara). His high-pitched voice could easily reach its highest point (tar-saptak) wijh ease. 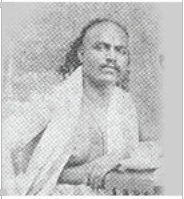 Although Bhaurao had not learnt Indian classical singing formally; he mastered all forms of singing in the company of Balkoba Natekar in Kirloskar Natak Mandli. Audiences adored Bhaurao by a favourite pet-name-'Bhavdya'. Old-timers still remember Bhaurao in the roles of Manthara in 'Ramrajya Viyog', Charudatta in 'Mruchchakatik', Shoorsen in 'Veer Tanay' and koundinya in 'Sharda'. The small Dinanath from the small town of Mangeshi in Goa had a very strong leaning towards music and singing. His heavenly sweet voice was God's gift. He used to sing and delight the listeners in temples, religious festivals and in short plays. He joined KirloSkar Natak Mandli at Mhapsa, in 1914. The drama company had faced a major split recenlly as Balgandharva, Bodas and Tembe had abandoned it. Dinanath soon found a good groove in the company. The editor of the daily 'Sandesh', Kolhatkar in an advertisement of the play 'Sundopasundi' called him as 'Master Dinanath' and the appellation clicked Very well. In 1916, Dinanath excelled greatly in the role of Kinkini in Gadkari's play 'PunyaPrabhav'. In 1917, Kirloskar's drama goup faced another split as Dinanath. Chintamanrao Kolhatkar and Krishnarao Kolhapure broke apart and set up Balwant Sangeet Mandli'. In addition to the old, popular plays, the Company produced newer plays, such as 'Janma Rahasya', 'Veer Vidamban', 'Hindi Manapman', 'Bhav Bandhan', 'Rajlaxmi', 'Ugra mangal', 'Choudave Ratna', 'Desh Kantak', 'Sanyasta Khadga', 'Gairsamaj', 'Brahmakumari' etc. It also put up Gadkari's two incomplete plays i.e. 'Raj Sanyas' and Vedyancha Bajar'. Velour was a favorite emotion (rasa) of Dinanath. He used to play the role of Tejaswini n Veer Varnanrao's 'Ran Dundubhi' with tremendous zest. His Songs from the play 'Paravashta pash daive', 'Divya swatantrya ravi' and 'Jagi ha khas vedyancha pasara' became very popular. Batwant Natak Mandli got the rtghts to produce 'Manapaman' in 1927. Dinanath's performance of Dhairyadhar in 'Manapaman' crossed all previous boundaries of popularity and fame. He clearly broke all records of popularity set by Nanasaheb Joglekar and Keshavrao Bhosale. Dinanath revolutionised even the outward appearance of Dhairyadhar, as he used to wear four different costumes in four different acts and changed the tunes of some songs. The attempt demanded a great effort on the part of an actor who previously did ladies' roles. Dinanath was on the apex of fame. In 1934, the organizers of the company played the gamble of closing down the company and entering the film-business. The gamble did not pay off as their film 'Krishna-Arjun Yudh' crashed miserably. Dinanath made an attempt to rasurrect the company once in 1938; but it didn't do very well in its comeback. Dinanath was a very handsome man with a mop of thick, curly, black hair, straight nose, wide brow, and sparkling eyes and tall and slim built. This was enhanced by a heavenly sweat, ringing voice. He was emotional and fickle minded; had sharp intelligence and imagination. He was very good at playing the Sarangi and at astrology. It was his misfortune that he died a very miserable untimely and tragic death at the age of 41. When the young Ganpatrao Bodas leaning towards theatre was realized by his mother; she advised him to join the best drama Company, i.e. Kirtoskar Natak Mandli. 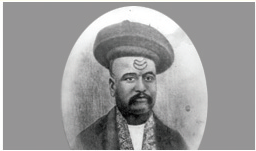 Ganpatrao joined it on 30/9/1895. Ganpatrao used to study ins and outs of every actor of the times, from the wings of the stage. He was a keen and observant student. The playwright Deval taught him the role of Shankar from the play 'Mruchchakatik', which became a pet role for him. His roles, Promad in 'Mookanayak', Shrungi in 'Gupta Manjusha' and Laxmidhar in 'Manapaman', were his very famous roles. Ganpatrao mastered Deval's style of dramatics to the later. In 1913, there was a split in Kirloskar Natak Mandli and Ganpatrao, Bal Gandharva and Govind Tembe started another drama company Gandharva Natak Mandli. The Company produced Deval's play 'Phalgunrao' adding music to it and remaining it ·samshay Kallol'. Ganpatrao Bodas' role of Phalgunrao in it has simply become immortal on the Marathi stage. Bodas reached a pinnacle of glory, success and popularity in the history of the Marathi theatre through his performances of the roles Krishna in 'Swayamwar' and 'Sudhakar' in 'Ekach Pyala'. In 1919, Bodas left Kirloskar Company and worked in Yashwant Natak Mandli as Manager. He returned to Kirloskar once again for a year and then from 1923 Bodas started working on the night-basis. In those days Bodas used to get Rs. 250/- per night show. Bodas was back to Kirloskars's company for 4 more years from 1928 to 1931. Bodas continued acting his typical roles of Phalgunrao , Laxmidhar, Kanchanbhat etc. till 1956. He was a born actor who was interested in the theatre till his old age. He wrote his autobiography entitled 'Mazi Bhoomika' (My Role) in 1940. Ganpatrao is known as the king of the stage­ voice and diction, the best actor who enjoyed the title 'The Garrick of Maharashtra'. Poverty had made the child Ganpat sing for food. Once, he ran away and joined Kirloskar Natak Mandli. His family brought him back. Later, he joined Krishnaji Bajaji Joshi's Shri Shahu Nagarwasi Mandli and stuck to it. 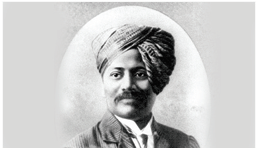 Later, he became the owner of this company, which was favoured by a Pune English professor V.B.Kelkar. Kelkar directed Agarkar's 'Vikar Vilasit' (Hamlet) for Ganpatrao. He also wrote 'Tratika' (Taming of the shrew). 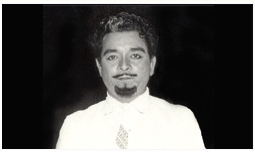 Ganpatrao produced 5 plays of Shakespeare on the Marathi stage. They were 'Zunzarrao' (Othello}, 'Tara' (Cymbeline), 'Kantipurche Don Gruhastha' (Two Gentlemen of Verona). 'Rana Bheemdev' based on Sheridan's 'Pizaro' became a great success. Ganpatrao's valiant speeches in the play used to send shivers in the audience. He was also appreciated immensely in the roles of 'Manajirao'(Macbeth} and Tukaram in 'Shri Tukaram'. He also staged Shakespeare's 'Kapidhvaja' (King John} and 'Vishwamitra' (Simon of Athens). Ganpatrao Joshi and Balwantrao Jog was a pair most favourite stars fondly called 'Ganya and Balya' by the audience. After Jog's death in 1910, Ganpatrao ran the show further for another 10 years and produced plays such as 'Vijaynagarcha Dalmalit Rajmukut', 'Panna Ratna', 'Mazi Baheen', 'Jativant Marahtha Veer' etc., but the former glory of the star was no more seen. Ganpatrao's plays relied solely on his acting abilities and never on the other actors or settings or costumes. His performance of 'Hamlet' was admired even by Britishers. In 1922, this great actor died of .... and an era of the Marathi Theatre came to an end. Deval was a school student in Belgaum where Annasaheb Kirloskar was a teacher. Later on, in the Marathl stage also they worked as a teacher and disciple. They were associated with theatre in the roles of actor, playwright and drama­ teacher (Taleem master). Deval acted in 'Shakuntal' as Goutami and Othello in 'Othello'. 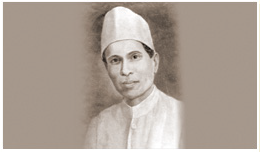 Deval's contribution is greater as a writer of plays such as 'Durga', 'Phalgunrao', 'samshay Kallol', 'Mruchhakatik', 'Shapsambhram', 'Vikramaorvashiya', 'Zunzanrao', and 'Sharda'. His social plays too enjoyed good fame. It Is enough to say that Deval trained a disciple who is well-known as Ganpatrao Bodas.